Because of the blowout yesterday we decided to travel early in the morning. We set off at five in the morning so most of the lads stayed in bed until about eight or nine. Today, thank God we have had no trouble with the old girl. 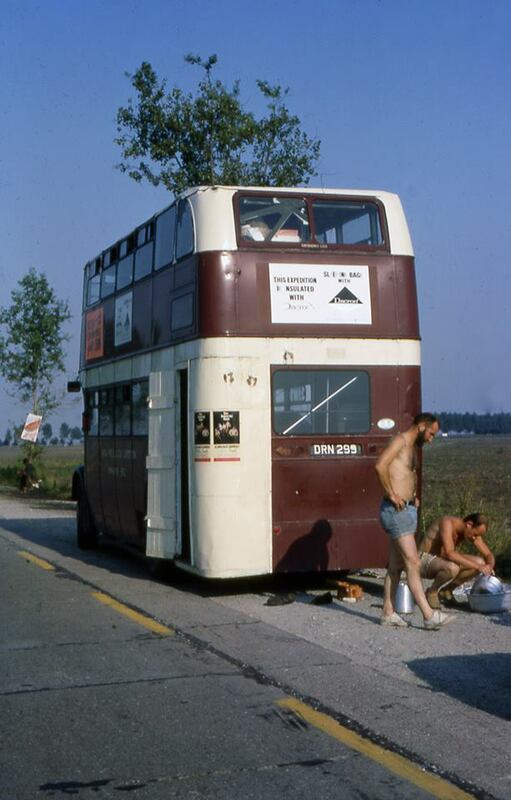 We camped about 35K outside of Munich next to a small lake, which served as a washing up bowl, swimming pool come washing machine. The weather was dull at first but getting warmer and sunny in the afternoon. 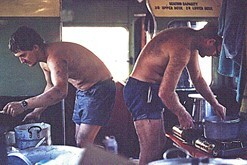 Note, the downstairs of the bus was modified by removing all but the four front seats. We installed an additional fuel tank and over the back wheel arches we fitted two removable tables for cooking. Upstairs we removed two or three back seats to provide storage of rucksacks and we slept on/across the remaining seats. We also fitted a wooden door to the bus entrance which we could lock. 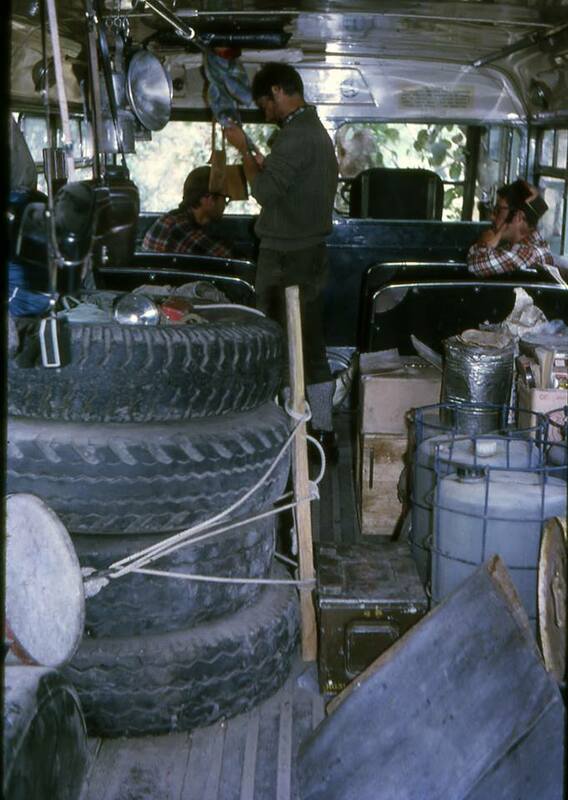 We also had to wedge all the sliding windows when not being used and yes a little person could quite easily crawl through, however we very rarely left the bus unattended.